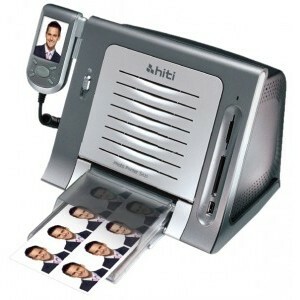 With a wide range of embedded ID format selection, HiTi S420 offers you a total solution for all your ID photo printing needs. In addition, a free bundled software, IDesiree 2.0, gives you unbeatable flexibility in ID format designs to satisfy the ID photo market demand worldwide (Accessible embedded ID formats may vary from region to region). Utilized HiTi idic ColorTM technology, HiTi Digital Photo Printer have won 4-time DIMA shoot-out awards in 5 years for their outstanding quality and exceptional performance.